Summary: A sermon examining the amazing grace of God. One of the greatest illustrations of Grace, is the story of David and Mephibosheth. David had made a covenant with his dear friend and Saul's son Jonathan, he promised to show kindness to his family. Sometime after Saul and Jonathan died and David had become King, he sought the opportunity to make good on his promise. He finds that Jonathan had a son named Mephibosheth who was lame and lived in the land of Lodebar. Mephibosheth had done nothing to deserve the favor of the King. But David sent for him and welcomed him into the palace. He then restored his family's land. He also assigned servants to till the soil and harvest the crops. Then David said to Mephibosheth "as for you, you will eat at my table and live as one of my own sons." 2 Samuel 9:13 (tells us that) "Mephibosheth dwelt in Jerusalem: for he did eat continually at the king's table"
The grace that David extended towards Mephibosheth was not a one time occasion. His grace was continual... Mephibosheth remained in the palace and was treated as one of the Kings own sons. This is such a great picture of the relationship that we have with our Heavenly Father. A simple definition of Grace is " the underserved love and favor of God toward fallen man." We do not deserve salvation through Jesus Christ. We do not deserve a relationship where Almighty God is our Father. And we do not deserve eternal life and a promised home in Heaven. But thanks to grace these things are a reality for those who are "in Christ". 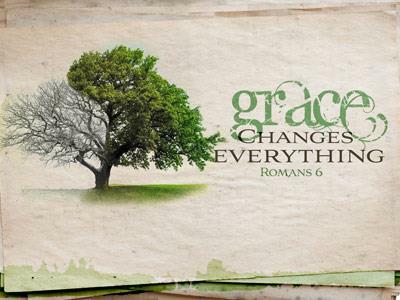 God's grace is evident in all facets of the Christian life. 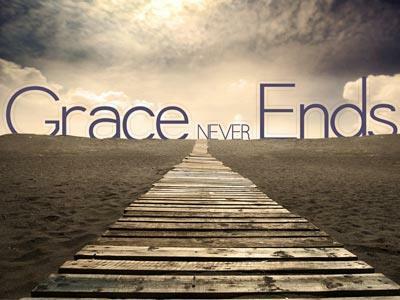 God's grace is seen in our salvation, our transformation, our sanctification, our edification and our glorification. Each of these truths are covered in this power packed portion of God's Word, I would like to walk through this passage and preach on "God's Great Grace". Each of us needed a Savior. We were born lost and in need of salvation. Salvation is deliverance from sin and judgment. God (through Christ) has made a way for each of us to be saved. The only answer for sin is Jesus. 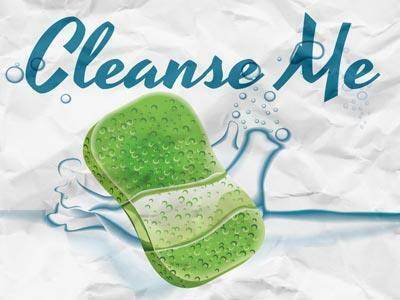 The only substance powerful enough to wash sin away is the precious blood of Jesus. If you die and find yourself in Hell, it will be because you rejected God's great offer of Grace. Those who are in hell today had to walk over a blood stained cross to get there! God's great gift of grace "has appeared to all men". This means that you have the opportunity to be saved! If you are already saved, then praise God for His GREAT GRACE!! We are not saved by works, rather we are saved "by the washing of regeneration". (This will be covered in greater detail in the next chapter.) Regeneration literally speaks of the "New Birth". When this occurs there will be a transformation... there will be a CHANGE! When this transformation takes place there are some things that we will begin to avoid. Likewise there are some things that we will seek to accomplish. There are things that the Christian should have no part in. There are place he/she should not go. There are things that he/she should not do. We must fight the temptation that comes from our enemy. And we must fight the desires that come naturally from this ol sinful flesh! We must remember that we are not of this world! - 1 John 2:15 Love not the world, neither the things that are in the world. If any man love the world, the love of the Father is not in him. 16 For all that is in the world, the lust of the flesh, and the lust of the eyes, and the pride of life, is not of the Father, but is of the world. 17 And the world passeth away, and the lust thereof: but he that doeth the will of God abideth for ever. A sermon examining the amazing grace of God.